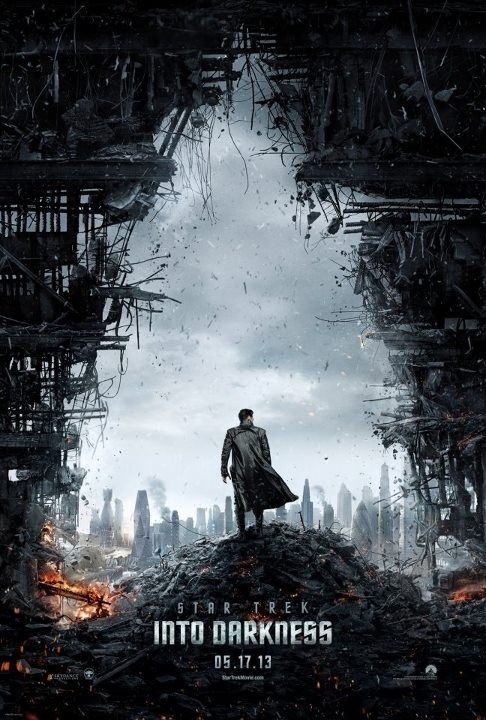 The teaser poster for the May-released sequel guest starring Noel Clarke and Benedict Cumberbatch amongst others. There’s been a lot of backstory for the new universe established in the IDW comics for those interested: the most recent issue sees the introduction of the mirror universe and beardy Spock. Update: I don’t think my brain would let me ‘x’ Star Trek with London when I first saw this poster. But it does indeed seem to be. Is it going the way of Vulcan in the first film? Seems to ground the film a little, which is a good thing.